The multi-episode saga to build the Lucas Museum of Narrative Art on Chicago’s lakefront is apparently over. In a statement sent just before noon on Friday, “Star Wars” creator George Lucas himself announced that the ongoing litigation from Friends of the Parks effectively killed off the project. A site selection task force put together by the mayor in 2014 offered the parking lot south of Soldier Field and north of McCormick Place as the ideal fit for the museum. But preservation group Friends of the Parks filed suit, alleging that the plans violated the long standing lakefront protection ordinance that bans any private development on public lakefront property. In recent days, a leaked memo from Friends of the Parks indicated the group was willing to support a backup $1.2 billion plan to tear down McCormick Place’s Lakeside Center and build the museum there, in exchange for a list of demands. Mayor Rahm Emanuel reacted to Friday’s news with disappointment. “Two years ago to the day, George Lucas and Mellody Hobson announced that they had chosen Chicago as the site of their incredible legacy investment,” he said in a statement. “The opportunity for a City to gain a brand new museum is rare, and this particular opportunity – a gift worth approximately $1.5 billion – would have been the largest philanthropic contribution in Chicago’s history. “Unfortunately, time has run out and the moment we’ve consistently warned about has arrived – Chicago’s loss will be another city’s gain. This missed opportunity has not only cost us what will be a world-class cultural institution, it has cost thousands of jobs for Chicago workers, millions of dollars in economic investment and countless educational opportunities for Chicago’s youth. “Despite widespread support of the project from Chicago’s cultural, business, labor, faith and community leaders and the public, a legal challenge filed by Friends of the Parks threatened to derail this once-in-a-generation opportunity. Is Lucas Museum Deal Within Reach? June 15: Friends of the Parks’ executive director Juanita Irizarry insists the lawsuit is still on, but Mayor Rahm Emanuel said Wednesday he believes an agreement can be reached. June 10: The preservation group Friends of the Parks is denying reports that it will drop a lawsuit against the Lucas Museum of Narrative Art and its quest to build along Chicago’s lakefront. May 11: Friends of the Parks has made some powerful enemies in maintaining its opposition to any lakefront site for the Lucas Museum. Is it worth losing the museum in order to maintain the sanctity of the lakefront? 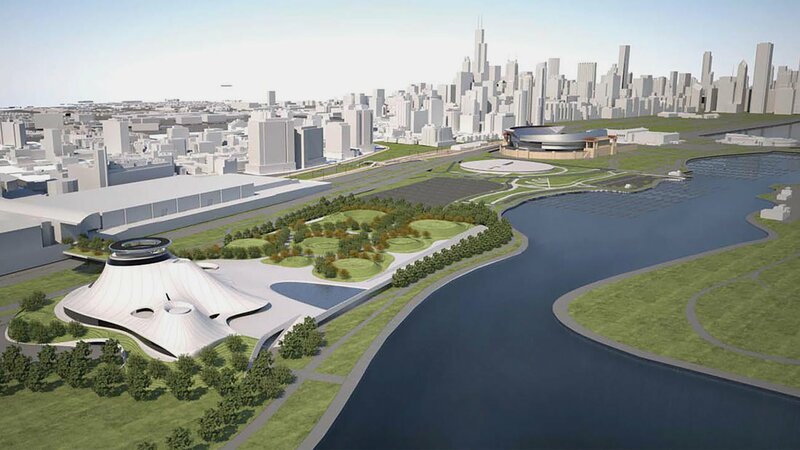 Has Friends of the Parks’ Opposition Cost Chicago the Lucas Museum? April 26: As Mayor Rahm Emanuel pushes McCormick Place as the new location for the Lucas Musuem, a group of faith and community leaders met Tuesday to throw their support behind the plan. WBEZ's Lauren Chooljian will bring us the latest.